To preface this article I’d like to give a huge shout out to Yahoo’s paranoids and everyone involved in their bug bounty program. Due to certain privacy conditions I’ll no longer able to participate in their program (no, I was not banned), but for the past year and a half I almost exclusively worked on their platform. Over the entirety of my experience they’ve served as both an educator and a sandbox all-the-while boasting impressive payout, triage, and validation times. If you’ve never participated in bug bounty or don’t know too much about the whole ordeal then I’d suggest reading the guidelines and going at it. As they say – “hack to learn, don’t learn to hack”. When doing reconnaissance one of the first things I try to do is get a grasp for what is running on the server side of things. Although this doesn’t necessarily give me any bounties directly, it can help in later exploitation techniques or identification of vulnerabilities tied to CVE’s and publicly disclosed issues in the software. An example of this would be local file inclusion on a LAMP (Linux, Apache, MySQL, and PHP) stack that could be escalated to remote code execution by polluting any log file with something like <?php phpinfo(); ?> then using the vulnerable function (e.g. include_once or require_once) to execute the PHP. The actual target for testing was Yahoo’s small business platform. After a while I was able to identify they were running NodeJS on the user control panel after bumping into a page that was misconfigured and exposed a template that should’ve been executed on the server, but was instead served to the client. I’m not sure why this happened but it did. Now that I knew it was running NodeJS on the panel portion I could proceed with testing and save some time by not having to “hail Mary” everything. There was one endpoint I had seen after purchasing a subscription that I’d never been able to exploit. 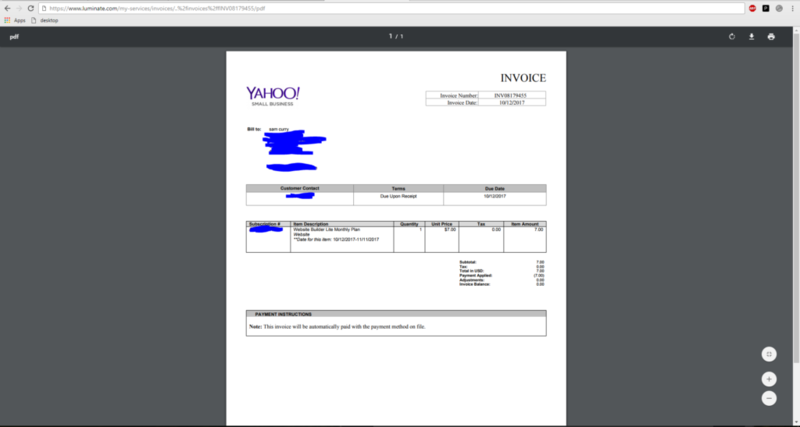 It was very a very simple webpage that displayed a invoice PDF to the user after they clicked “download”. The reason this function would be fun to exploit would be that it displays billing information about the user. Now the standard thing to do at this endpoint would be to change the “INV08179455” argument to a PDF that wasn’t actually yours. If this IDOR (indirect object reference) was successful then we could view potentially any invoice. 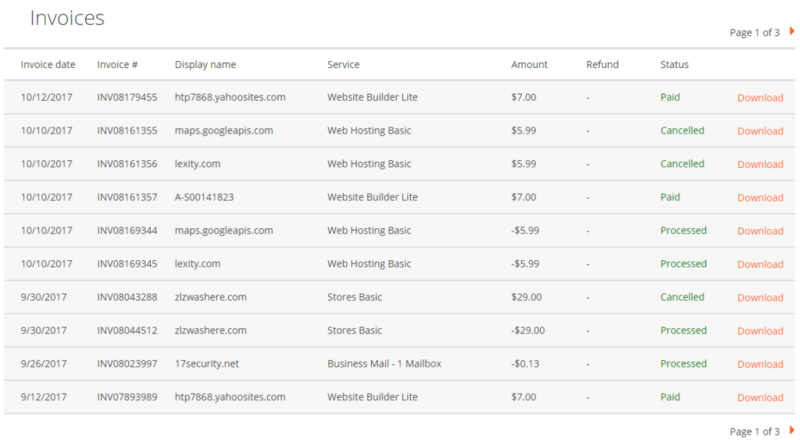 As you would guess this was not successful and was probably done by 90% of hackers who purchased a subscription on Luminate, but I was not satisfied with the results as it was such a fun looking function. One of the questions I had was “why use PDFNAME/pdf and not PHPNAME.pdf?” – the most immediate answer was that the function that processed this validated that the user owned the PDF before serving it. At the time, this conclusion made complete sense, but would be confirmed incorrect as we moved forward. NodeJS "/view/ID" is sort of the equivelant of PHP's "/view.php?id=ID"
… both of these HTTP requests returned the same results. Although it is standard practice in many web servers to just process the “.%2f” as “./” and make it hit the exact same directory and argument, Node was potentially taking the “.%2f” as an actual argument in the invoice ID directory parameter. If this were true it would suggest that the invoice ID directory parameter was fetching some sort of file in order to display the PDF and the user was able to supply “.%2f” and potentially “..%2f” to specify what directory to pull from. In order to “sort of” confirm this I sent the following request. Hey! 200 OK! It was my PDF! None of them worked. After a few hours I got sort of bored of the endpoint and decided to look around. What I discovered pushed me to finally exploit the issue. How will the attacker identify the subscription ID? If this behavior is present will it even be exploitable in the wild? Why was there a trailing #vj at the end? To be honest, after exploiting this, I’m still not sure… all I know is that it was present. This endpoint was not exploitable and did not follow the same practice as the control panel because it (1) filtered all domain related arguments and (2) seemed to be executing SQL queries or something similar due to the “id” parameter (this was just a guess). The moment of truth would be using this email with the appended mysterious “#vj” (or url encoded %23vj) to access my personal files, and after confirming the behavior, another users files. The second moment of truth would be confirming that I could indeed fetch someone else’s PDF using the full payload. The easiest way to confirm this would be to just copy the endpoint with the final payload to load from my own account and load it on a separate account. This behavior was successful. The real question, now, was how could the attacker realistically exploit this? After pondering the question and chaining a ton of things together I was able to finalize the impact as the following: an attacker, with only the victims email, could view another users payment information (last four numbers of their credit card, expiration month, billing address, etc). I’ll save you the drawn out details of how long it took to chain these issues together but I will give you the final reproduction steps..
Attacker utilizes the following endpoint. This endpoint requires (1) the victims email and (2) a tool like dirsearch. Although this did require brute forcing, it only took somewhere around a maximum 10,000 requests. There is no restrictions to brute forcing this portion of the site so I was able to do this in very little time. The purpose of the above endpoint was to simply modify an existing subscription number to another one. 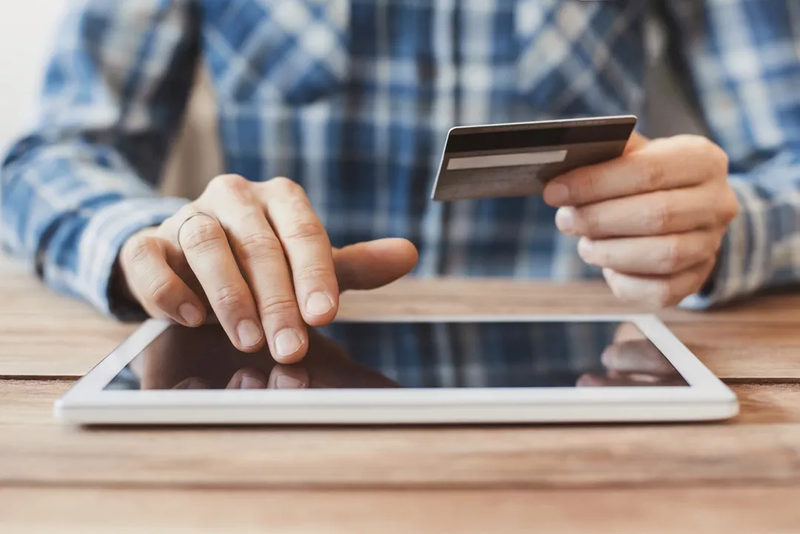 This could be utilized using any current or expired subscription numbers, so the victim simply had to have (at some point) purchased something on Yahoo’s small business platform. The above response includes the “payment token”. This is a 32 character alphanumeric hard-to-guess token that allows a normal user to modify a payment method via the below endpoint. Remember: in order to get to this final step all we really needed was the victims email address. The Yahoo small business platform was storing user information in a set of directories that were protected simply by obscurity. The attacker, with knowledge of the victims email, could run an wordlist against a very predictable/guessable service ID and receive information from the response in order to view the victims payment information. The fact we were able to tell this was running on Node allowed us to structure the attacks and eventually get it to respond the way we wanted it to. Why didn’t you fetch /etc/passwd?